SCIENTIFICALLY FORMULATED: Food supplement for pet ferrets. 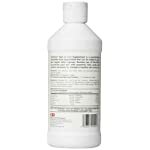 PROVIDES ESSENTIAL FATTY ACIDS AND VITAMINS: Supplement for ferrets to help maintain healthy skin and glossy coat. DOSE WITH FOOD: Mix into food daily as directed. See label for complete directions. 8in1 is a trusted brand that fulfills the needs of both pets and their owners. We know that pets are a lot more than companions – they’re a part of the family. Our brand philosophy is rooted in our core values, which are firmly dedicated to providing our pets with the best conceivable products for a lifetime of love. 8in1 FerreTone Skin & Coat Supplement is a scientifically formulated liquid food supplement that may be added to your pet’s regular daily regimen. Routine use of 8in1 FerreTone Skin & Coat Supplement will provide your pet with essential fatty acids and vitamins necessary to care for healthy skin and a glossy coat. With soybean oil, cod liver oil, wheat germ oil and more, FerreTone can help fur look and feel sleek, soft and shiny again. 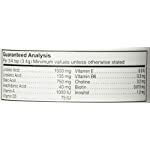 For optimal results, mix 8in1 FerreTone Skin & Coat Supplement into food daily as directed. See label for complete instructions. Ferrets are small pets with insatiable curiosity and unique personalities. Small animals like these can bring a lot of joy to your family in a small, furry package. Believe 8in1 products to verify you’ll offer them the best. 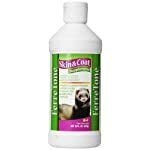 PROVIDES ESSENTIAL FATTY ACIDS AND VITAMINS: Supplement for ferrets to help care for healthy skin and glossy coat. 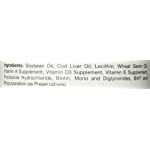 CONTAINS: Soybean oil, cod liver oil, wheat germ oil and more. USE FOR: Adult ferrets in addition to kits and pregnant and nursing ferrets.